The application displays the expected traffic situation in Pilsen in one hour intervals during the period from May 2017 to November 2018. 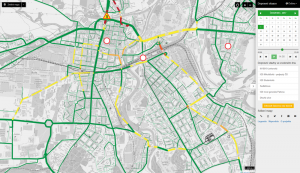 The traffic volume information is derived from the city’s traffic model and takes into account ongoing roadworks on the selected day. The web map application was developed by Plan4all for the City of Pilsen. 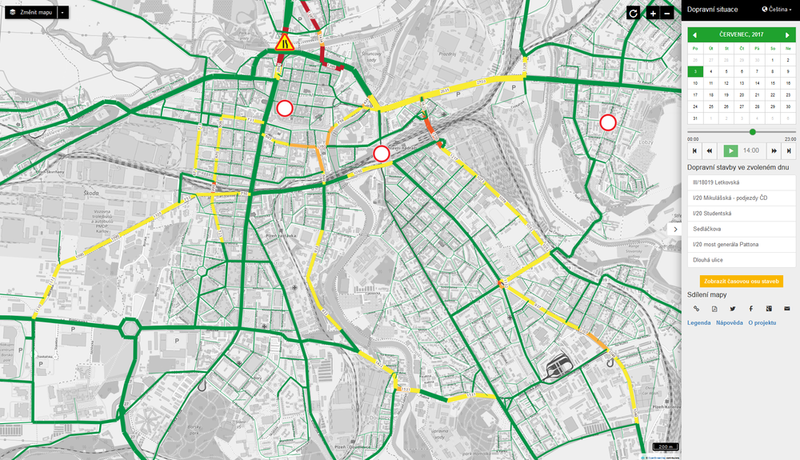 The map application is available at https://intenzitadopravy.plzen.eu/.